Another submission as part of our continuing series of "Bob Grogan: The Most Interesting Accountant in the World" program. You can view part one of the submissions here on the Truth Team. Now...let us be clear. 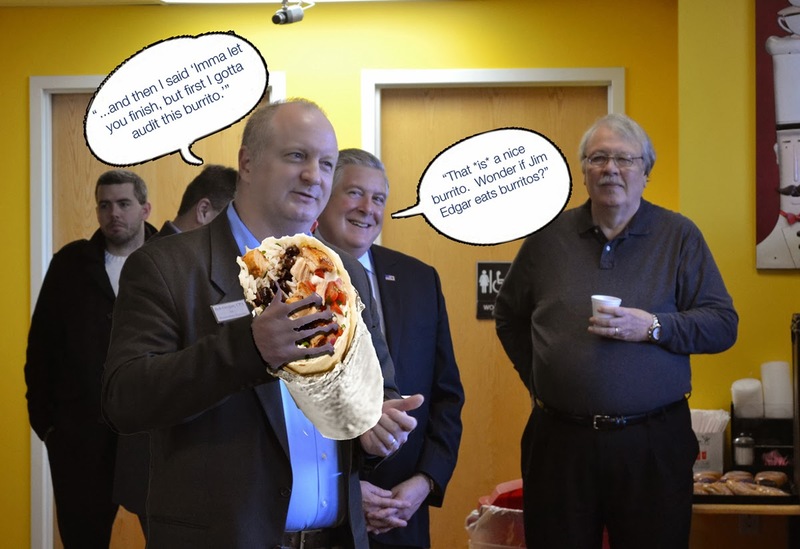 We have no idea if DuPage County Auditor Bob Grogan even likes burritos. He might. But he might be more of a torta guy. Also...it looks like Senator Dillard took a little collateral damage on this one. Have one you want us to run? Go grab the photoshop file here. Send it our way: tipthetruthteam@gmail.com.